Home Expert Tips How to Prepare Your Child for Exams? 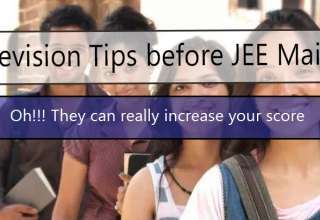 Do you know the number of aspirants who compete for a coveted seat in JEE/NEET examination every year? This year i.e 2018, more than 13 Lakh candidates applied for the NEET 2018 Exam and more than 12 Lakh applied for JEE Main 2018 so you can easily assume how much pressure children face these days in times of tough competition. Being a parent you cannot do anything about the competition but can do a lot to minimize that pressure and prepare your child for the competitive exams. In this blog, we will discuss some points to guide you so that you can help your kids during exam time. Just being present in front of your child is not enough; you should also be able to emotionally connect with your kids. With all the pressure, tension and anxiety it’s important for the kids to feel loved which is good for their self-confidence and mental health. It’s very essential to be emotionally and physically available for your kids whenever they need you. Guide your kids to maintain a proper schedule which will help them utilize their time (race against time phrase meaning) properly. There is much to study for the competitive exams so managing with the right balance is a must. Proper utilization of time is a necessity, managing time for self-study apart from going to school, doing homework, attend neet & iit coaching and extracurricular activities is also important. As parents, one thing which should always be kept in mind is that all kids are unique and all kids are different. Not every child can score well nor can every child be active in sports or in extra co-curricular activities. Every child has a different personality and as parents, you should be able to figure out their strengths and help them work on their weaknesses. Marks are not the sole criteria of being successful in life and one should not nag their children constantly for not so perfect marks. Students should be encouraged to practice regular mock tests so that they know their shortcomings and they will themselves understand what they need to study and practice more for their desired results. Parents should keep a close watch on their child’s test results like class tests, ranking at NEET coaching institute, marks scored in exams and see if the student’s performance is going down or improving. Rewards are essential especially for students; anything which motivates them to perform better is good. At the same time avoid punishing them if they have not performed well. There might be an underlying problem which is hindering them to perform well in exams which then the parents need to ultimately figure out. A winning strategy has to be prepared by the children and their parents as in how to answer the question paper, how to make answers presentable, which questions to answer first if there is any negative marking or not and henceforth. Some students do not make any strategy and hence lose out on gaining marks. Especially in case of a competitive exam, a paper needs to be solved intelligently and a strategy is always needed for it. Talk to your kids. Ask them about how their preparation is going on, address all their fears, try to find out what their weak areas are and how they can be improved. Ask your child to share his feelings with you. Post-exam time is also a very crucial period. Even if the child has not performed well they need a pat and someone to support them. Do not criticize the child on poor performance but ask them to prepare well the next time. It’s always essential to gauge your child’s wellbeing. All students are anxious before and after an exam. Whenever parents see anything unusual with their child or an abnormal attitude like loss of appetite, mood swings, unusual sleeping pattern or negative behavior by the child then it could be a cry for help or a warning sign for the parents. Each child or each student is unique and parents know their child best. It is the parent’s responsibility to help the child with exam preparations. Sometimes teenage children need some space so make sure you give that but do keep an eye on them. Its rightly said that parenting is as much about growing parents into better people as it is about helping children grow.